My thoughts on filling out airline and hotel surveys after a flight or hotel stay have shifted over time. I used to not fill them out because I tend to think my time is more valuable than filling out surveys that ultimately just contribute towards a statistic, and that I’m not compensated for. I have better ways to spend 10-15 minutes. However, over time I’ve realized that airline and hotel executives really care about their survey scores. If I had a dollar for every time I’ve heard them say how well people responded to something that’s clearly negative in a survey, I’d book myself a basic economy ticket to somewhere nice. So in addition to voting with your wallet, vote with your survey. Don’t like the 737 MAX on American? Say so every time you fill out a survey. Don’t like Ritz-Carlton’s lack of elite benefits? Say so every time you fill out a survey. If enough people do it, it will make a difference. Unfortunately experiences like this are becoming pretty normal on American. American emailed me about my flight! In my experience most airlines will proactively email passengers when they’re on a severely delayed flight. At a minimum, they’ll email you if you’re in a premium cabin, or if you have elite status. Well, I’m happy to report that American did in fact email me about this flight… with a survey asking me how my flight was! And boy was it my absolute pleasure to fill out this survey! Also, American seems to have also turned these surveys into larger attempts at market research. I agreed to share feedback about my flight, not to participate in a focus group about the airline in general. As much as I just hate filling out surveys, in the case of companies I’m disappointed by, I think it’s time well spent. If enough people fill these out things will change, because the bonuses of many executives are tied to these results in one way or another. In this case it was oh-so-reflective of the state of American when the first communication you get from them after a delay of four hours is them asking if you’d recommend American based on the flight. 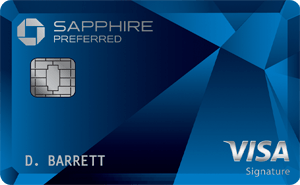 Is The Chase Freedom Card Becoming Less Valuable? Nothing will change at AA until there is a change at the top. A new CEO is needed to right the ship. I left UA for AA after the disastrous merger. Lately I have moved more and more of my travel from AA to DL and WN due to better reliability and service. @ Ben — Why did you rate your security experience at MIA “very poor”? @ Gene — I find Miami has the worst Pre-Check lines anywhere in the country. The Pre-Check line was so long that I headed to the E Concourse to clear there instead (though go figure that ended up taking even longer). @Lucky why do you think you didn’t get the standard elite email for a delay. I have had two delays this past year and have gotten a we are sorry and as a gesture of good will here is 5000 Miles email. Both delays were between 2-3 hours. I wonder if they stopped this practice. Humorously, I just had a similar opportunity to kvetch about a Hilton property. I just stayed at the new Hampton Munich West and had a number of issues with the room itself, including ineffective a/c (not a surprise in Germany, per se, but it shouldn’t be impossible to cool a room to below 24° on a day when the high is 13°) and a bathroom light that never turned on. Because it was Oktoberfest, I’m not upset we weren’t offered another room and because the lighting issue was, apparently, intractable, that it wasn’t fixed. No, what I’m upset about is how Hilton and the hotel managed the issue. Every interaction during the stay was a punt, with no one taking responsibility. Post stay, I answered Hilton’s survey and got an email asking me to call (!?!?) the manager back (uh, no, not calling Germany). You should also fill them out when great services are offered as well, so that the companies keep offering them and know that customers appreciate it. The problem with these surveys is if you fill them out negatively a few times at many companies you will not receive them going forward because the managers whose bonuses are tied to these surveys opt you out on there internal system and you as the consumer are unable to see this. This has occured at many companies I have worked for. @lucky, I am impressed with the succinctness of your survey responses, which is important in surveys! On a few occasions during the year I use ATL and Delta to Brazil and, also, to UIO. What a difference. Sure, the planes are older (though the A330 is now mostly used to GRU) but wow, check-in and the F/A’s are miles above. Delta is nicely expanding into Latin America and really the best for service. In honesty though, when choosing, as awful as American is they are still better than LATAM or Avianca, two that can be really really bad in Business. Azul is the one exception of Latin American carriers that does an exceptional job…but who wants to make the drive to Viracopos from S.P. I have QUIT ALL of these idiotic requests because they are WAY TOO LONG. How about a simple 5-10 questions ….. Nooooo, it has to be 40 or 50, many of which ask something similar. Note another exec plat devaluation at MIA. No longer a dedicated first class line at miami. All check-in is priority (or flagship). So what was once a very poor experience (I agree with the poster above) has become intolerable. Everyone is priority and they all seem to have a million bags, ticket issues and usually a pet, child or elderly… often all 3. Two agents work while the other pretend to it more egregiously sit around and talk. Ben, I have many experiences like yours on OTHER AA flights. A better customer experience on AA is an exception but not the rule. > If enough people do it, it will make a difference. Color me doubtful. I have no evidence to support this, but I believe the primary purpose is to let you vent your anger once, to a private listener. Then you’re less likely to vent twice, on social media. AA may be bad but Delta is not that much better. Was sitting in First Class in Delta with wife. Saw a short middle aged female passenger board toward the end and needed help raising her carryon into the compartment. She asked the young late 20s first class flight attendant to help (who was at least 5 foot 8)…which she did begrudgingly while rolling her eyes. Then while she was preparing drinks for us in First she told every other flight attendant what she “had to do” and all of them were expressing a “how dare she”. Contrast that to asian airlines. We were flying JAL business class and while my wife was putting a bag up into her compartment, a short skinny 5 foot 2 japanese flight attendant rushed over and wanted to help. It wasn’t needed as my wife was taller but it shows the difference in culture. A survey makes you think that the organisation cares but, by giving you an opportunity to vent, heads off you submitting a complaint which would need a reply. Read the other comments. AA know about these problems and, if they don’t, could trivially do so by asking a customer services exec to fly and report back. Yes, burn them on the surveys. AA seems to emulate the Latin America experience in The entire process from check in – to boarding at MIA. flying to or from Latin America or the Caribbean is a borderline hostile, unpleasant experience. Since most international travelers are to or from Latin America, there won’t notice a difference and won’t complain. I’m sure the survey will be useful providing feedback from a passenger perspective on the delay. The real measure will be if they improve their operations in such circumstances in the future. I’ve been flying for decades and I haven’t noticed that these scenarios are getting handled better or more efficiently across many airlines in many countries. Shouldn’t the aircraft of today be more reliable, especially this brand new one? Shouldn’t repairs be easier and quicker to accomplish? Shouldn’t airline employees have experience in handling these delays and therefore make them more tolerable to the passengers? When nobody cares, nothing changes….. I must have won the lottery then – I flew Copa recently connecting through Panama City enroute to Toronto and can’t say enough good things about them. Easy check-in process, great attentive service on board, quality food, lots of entertainment choices and a new, clean plane. I came into my first ever Copa flight expecting the worst and got something better than almost every domestic flight I’ve ever been on. To jack re unhelpful folks now populating the world: On Sep 18 I rode the # 10 tram from Zurich Bahnhoff to the airport for a morning flight back to USA. A grey haired diminutive lady whose age was likely 88+ boarded at an intermediate stop. offered a seat to this lady who could have been mom or grandma. This 76 year old geezer did and she appreciated it. I don’t ever recall getting a survey from AA when I was flying to earn my EXPlat status last year. The things I would have put in there? Would have been brutal. Which is quite telling, because that sort of feedback from pax was obviously not a priority for AA. What are they trying to correct now when the entity needs to be corrected? I tend to think these surveys are worth it if they are coming directly from the airline/hotel themselves. I think at the very least it’s inportant to make them aware of what your issues are as you say, and am a lot more inclined to fill these out than the travel website ratings eg tripadvisor etc, which I only fill out if something very positive or very negative happens. Having said that, as a very frequent flier on BA I have noticed lately they do not survey me after flights where something has gone wrong! They are generally proactive about awarding miles to compensate on board (eg canon service director comes around and hands out a bunch of Avios) but never ask for my opinion after a severe delay or problematic flight! I usually respond to these surveys if time permits. When one is traveling, sometimes it’s just not worth the effort. My only real beef with AA is the lack of on-time performance. It seems to be DFW which is the center of the problem. I’ve run into a few less-than-chipper check in agents but have never encountered an unpleasant or uncaring flight attendant. I’m based out of Phoenix, so that probably has something to do with it. If I have to fly to smaller cities in the Midwest, I try to connect at O’Hare or Charlotte and avoid DFW. Too bad, because I love that airport–just not what AA does with it. I also left UA for AA several years ago because UA’s delays for mechanical issues had become intolerable. On my most recent AA flight (Chicago – Paris two months ago) our flight was delayed because an engine was broken. Even though the plane had been at the gate since 1 pm that day, it wasn’t until 5:30 pm that the crew checked out the plane and realized that the 7 pm take off was not going to happen. Then when we approached Paris, the plane began to circle over northeastern France for the next hour with no explanation of why this was happening. We landed 3 hours late but at least we got there. We had a wedding to attend two days after our arrival which I worried we would miss entirely. The Chicago based crew, on the otherhand, were excellent. Friendly, professional and helpful. And yes, I filled out their survey! You are absolutely right about COPA. I flew them ORD-MDE with a connection in PTY. What a pleasant a surprise! That airline is efficient and friendly…and PTY is so compact and easy to navigate. COPA is the best way to travel to northern South America and areas in between. The 737s they use are a bit cramped for flights all the way to the southern cone though, in my opinion. Oh, please. If 100% of the passengers on those flights filled out the survey with the same opinions as you, they still wouldn’t care. These surveys are just to make customers think AA is being proactive. You don’t think Doug Parker gives a flying fig about how your flight was? He already got your money. I would happily fill out surveys if they were ever about me not them. As soon as I see the question “how likely are you to recommend …..” I’m out. Surely its about my experience with your product not you. As a premium passenger or hotel guest I have invariably paid a lot of money not just on this experience but over years & particularly if you are an airline, you almost never show me you care let alone know anything about me. So why would I waste my time doing this – its me spending a valuable resource yet again to help you when it should be the other way around! And as @geeperspeepers says, “who gives a flying fig”? Not them. Doug Parker is not going anywhere. AA is his toy, and if he continues to destroy it, no one will say anything because that is the way the corporate system works essentially all over the world. Based out of DFW, it is sad, as I am lifetime Platinum, and I remember when it was actually a good thing if you flew on or worked for AA. The pilots seemed to want Doug and his team as their saviors. I’m also surprised they didn’t send you the automatic customer service bonus for a flight delay that long. My flight last month from PHX-OGG was delayed about 3 hours or so (on a trash 757) and I had an email with 5,000 miles in my inbox within a few hours of landing. And I was a lowly Gold finishing up my status challenge. This is great Lucky, but like most things in the US that are service-related, everything is automated so I doubt this will have any impact. $$$ is the only language they speak. Well said. AA used to be my favorite airline and one of the reasons I moved to the DFW area from Philly was to stay away from US Airways under DG’s leadership and always fly AA instead. I even personally e-mailed the AA pilots’ union asking them to reject the merger. (Call me naive if you want.) Of course that did absolutely nothing. I can never forget Doug Parker’s failed attempt to charge $2 for soft drinks and it should be no surprise that history is a good predictor of the future. Thank you for taking the time to fill out the survey. We are delighted to hear that we were able to offer you a pre departure personal Premium beverage of your choice.Also that our professional award winning flight attendants known for their friendly welcoming service made eye contact with you during your journey. Now as for delays as you know they are mostly acts of god and mother nature and out of our control or responsibility to our customers. May Doug Parker spend his eternity in the toilet of a 737 Max 900 that had run out of tp. For all those Doug Parker haters. He is still has his job because AAL still make profits and shareholders are still happy. He cares about shareholders not customers. Unless y’all stop flying AA, he will still keep his job. I wonder how can Doug Parker survived #MeToo ? 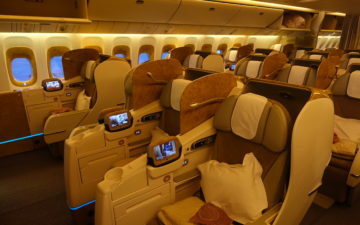 When I fly internationally, I fly in business class. I flew to Asia with AA and I have to say that when it comes to service, AA flight attendants were pretty much non existent compared to Asian airlines and European based airlines. When I flew to Europe flying in a European based airline, the flight attendant came and checked on me every 15-20 minutes because I was tossing and turning. She kept bringing water and offered snacks to alcohol. With Asian airlines, the flight attendants run over to you to see if you need any service if you look up! They are always making their walk around the business class area. With AA, flight attendants disappeared and I only saw them when they served the main meals (2 meals international flight). I did not see them anywhere even in the front area where flight attendants sit. They never smiled and were quick and in a rush to serve us and clean up and disappear. @BD Copa 737s are coming in with lie flat business class seats. Will be a much better ride on those long US-PTY-Deep South America sectors. Lucky— I feel your pain. I recently flew Business from MIA to UIO, originating from ORD; and while I didn’t have the delay, I found the plane, service, and especially the TSA (upon return… I had the dreaded SSSS on my boarding pass) to be ridiculous. I did not receive a survey, but I did Tweet my thoughts on the terrible 737 MAX to American. As for those who say Doug Parker will keep making these decisions based off of profits and shareholders…the stock has lost almost 50% of its value in the last 10 months. Delta and United look much different! UA emails me with survey invitations about 50% of the time (and I don’t yet have elite status). If it’s a good flight, I say so. If it’s a lousy or uncomfortable flight, they get hammered for it. I complained often a few years ago about all of the RJ’s on routes between ORD and reasonably large markets (like BWI or ATL) and they have been making an effort to go mainline on those sorts of routes. So clearly I wasn’t alone in complaining about that and they do actually read these things. All in all, it’s worth the time if you can spare it. BTW- Lucky, I just LOVED the answers that you provided to AA. I’m sure they’ll ‘enjoy’ reading it too…..